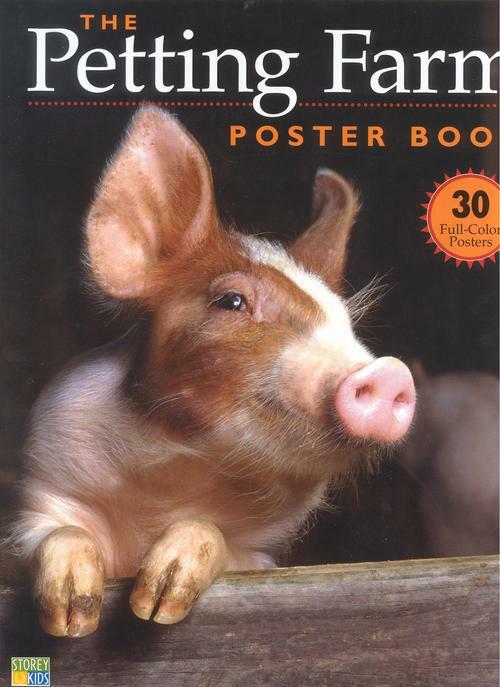 Petting Farm Poster Book by Ethan Fierro 64 pages, 9 3/8 x 12 trim size, full-color; photographs throughout. Welcome to the cutest farm on earth! 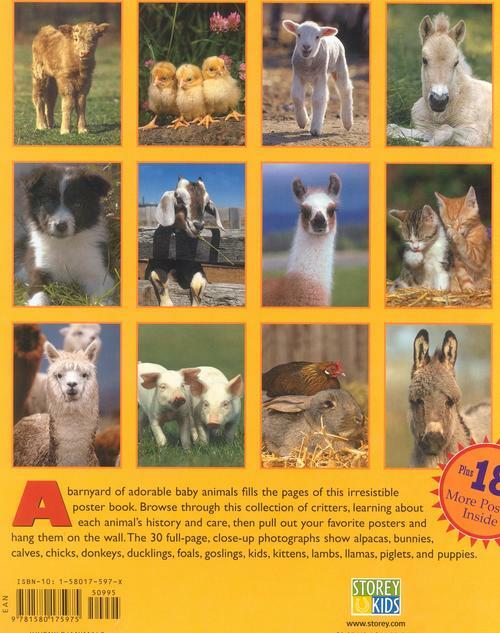 A barnyard of adorable baby animals fills the pages of this irresistible poster book. Browse through the collection of critters, learning about each animal's history and care, then pull out your favorite posters and hang them on the wall. The 30 full-page, close-up photographs show alpacas, bunnies, calves, chicks, donkeys, ducklings, foals, goslings, kids, kittens, lambs, llamas, piglets, and a puppy.